Uncategories Former Ecobank manager remanded over alleged N411million fraud. Former Ecobank manager remanded over alleged N411million fraud. A Federal High Court in Ikoyi, Lagos, yesterday remanded Ifeanyi Chukwu Azike, a former manager of Ecobank Nigeria, over allegations of defrauding the bank’s customers of N411million. Azike, who was handed over to the police by the investigative unit of the bank was arraigned before Justice Ayotunde Faji by the Special Fraud Unit (SFU) of the Nigeria Police Force on a three-count charge bordering on obtaining money under false pretenses, false representation and fraud. The defendant, however, pleaded not guilty to the charge upon his arraignment. Following his plea of not guilty, police prosecutor, ASP Daniel Apochi urged the court to remand him in prison pending trial. Consequently, Justice Faji ordered that the defendant be remanded in prison till March 8, when his bail application would be heard. 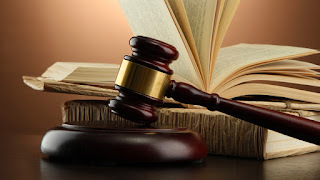 In a charge marked, FHC/L/56c/2019, the police alleged that between 2016 and 2017, Azike fraudulently obtained N150 million from a customer of Ecobank Nigeria under false pretence of buying him Federal Government Treasury Bill in his bank. Azike was also alleged to have forged the bank customer’s signature, picture and letter of Instruction which he used in opening another parallel account as Ikenna Okafor Kelvin. The police also alleged that the bank manager without the consent of the bank fraudulently converted the sum of N411 million belonging to the bank to his personal use. The offences were said to be contrary to Sections 1 (1) (a), 15(1)(2) and 15(2) of the Advance Fee Fraud and Other Fraud related Offence Act No. 14 of 2006, and punishable under Section 1 (3) of the same Act.